Not that I take Urban Dictionary as gospel (I’d have s ome problems if I did! 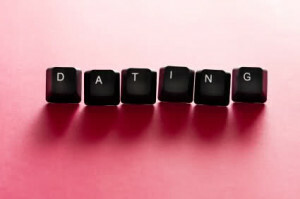 ), but when it comes to the definition of “dating,” the usually off-color site does a surprisingly good job of defining the word. The first definition on the site says that dating is, “… To be in the early stages of a relationship where [you] go out on dates to find out what each other is like, as a prelude to actually being a fully-fledged couple.” Notice that the definition isn’t “going out once to determine if this person will be your soul mate.” This is where many people get confused. Clients and friends ask me all the time whether they should go on a second date since they’re not sure whether they were really into the other person (either for personality or physical attraction reasons) after the first date. They reason that they don’t want to lead the other person on, making him or her think that this might be the beginning of a relationship when, in fact, the next date would be “just to see” if there’s any potential there. While in theory this makes sense, I argue that the whole point of dating is to get to know people to see if you want to start a relationship with them! The definition above even states that people date “to find out what each other is like.” It’s often the case that we’re not sure how we feel after a first date. Of course, it’s sometimes clear that you have a major spark, or alternately, that you can’t stand the other person. (The guy I once went out with who literally sulked – yes, literally – when I beat him at ping pong certainly made the decision easy for me.) It’s often too hard after just one date (which is likely only an hour or so long) to decide if this person drinking a Jack and diet across from you will ultimately be the mother or father of your children! My point: It’s okay to see someone again just to see whether he or she is a good fit. You’re not leading someone on – you’re just dating! Long story short: We dated for a year and a half. It’s more than okay not to know after the first date how you feel. Remember, you don’t have to make life-altering decisions after date #1, like what kind of wedding china you’re going to get. Simply ask yourself this question: Do I want to have another conversation with this person to get to know him/her? If the answer might be yes (or even if you’re not sure), you have nothing to lose by giving it another shot. It’s just dating, after all.